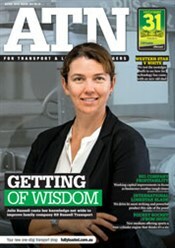 ATN is the leading management tool for transport and logistics operators, delivering vital information and market intelligence to help them stay FULLYLOADED. Please allow up to 4-5 weeks for first issue delivery. Owner//Driver is the truckies’ ‘bible’, delivering a unique combination of news, driver and operator profiles, equipment news and reviews, and jobs and used equipment classifieds of relevance to owner-drivers and small fleet operators. 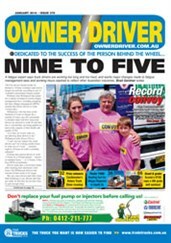 ‘Dedicated to the success of the person behind the wheel’, an annual subscription to Owner//Driver includes a monthly Owner//Driver newspaper delivered direct to your home. Deals On Wheels is Australia’s biggest-selling truck magazine; widely recognised as the ‘bible’ for those looking to buy and sell new and used trucks, trailers, parts and accessories and much more. Head to this page if you are looking to sell something in Deals on Wheels. 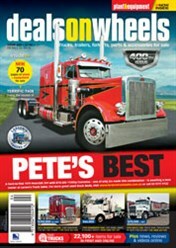 Each issue features 500+ pages of used trucks, trailers, parts and accessories for sale – as well as the latest equipment news and reviews. 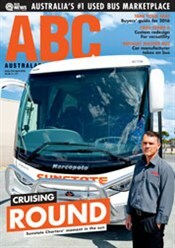 ABC is Australasia’s leading bus and coach industry publication, providing operators with vital information and market intelligence to help them keep their BUSiness moving.